One of the worst feelings for me is having dry lips. You know, that same uncomfortable feeling as having dry hands, I hate it. I’m constantly reapplying lip balm or lipstick, which I find a real chore, especially when I’m busy at work, or in a place where it’s totally in appropriate to do so. Truth is, I do it anyway, but it’s not ideal. A good lip balm is definitely one of the most important products in my makeup bag, and is treated as seriously as my skincare regime. Having experimented with so many products over the past few years (well my whole life) I would say, Glamstick by Rodial is probably one of the best lip balms I have every tried. Enriched with with Vitamin E, Cocoa Butter, and also containing an SPF, these multi tasking Glamstick’s not only hydrate and protect lips, they also come in 9 different colours. The packaging is so cool, and the coconut flavour smells and taste amazing. I’ve been using mine for a week now, and I love it. I wear it as a base to my lipstick, which is amazing, and then throughout the day I wear it alone. What’s great about the Glamstick is that I’m not reapplying as much because it is so hydrating and its lasts a lot longer than my lipstick, or previous lip balms. 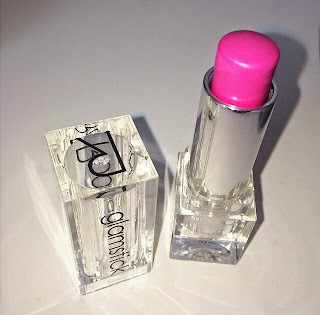 It softens my lips instantly without that greasy or heavy feeling a lot of glosses have. The colours are amazing, suiting all skin types. My glamstick (above) looks super bright like a lot of the colours in the collection, but they actually come on really sheer, giving only a subtle hint of colour. With names like Revenge, Blow, Psycho, and Wet, whats not to love? !